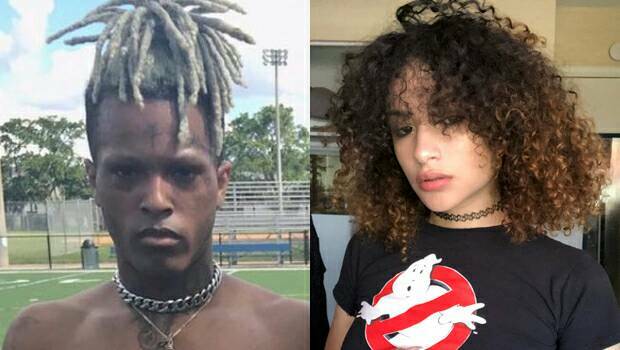 XXXTentscion’s ex Girlfriend Geneva Ayala turned up at a vigil held in miama for the murdered rapper and was kicked out by his friends. 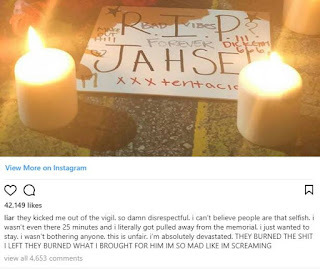 Not only that they burned the items she left at his memorial! id made claims that he brutally beat her in 2016, causing him to later be charged with aggravated battery of a pregnant woman, domestic battery by strangulation, false imprisonment, and witness-tampering. 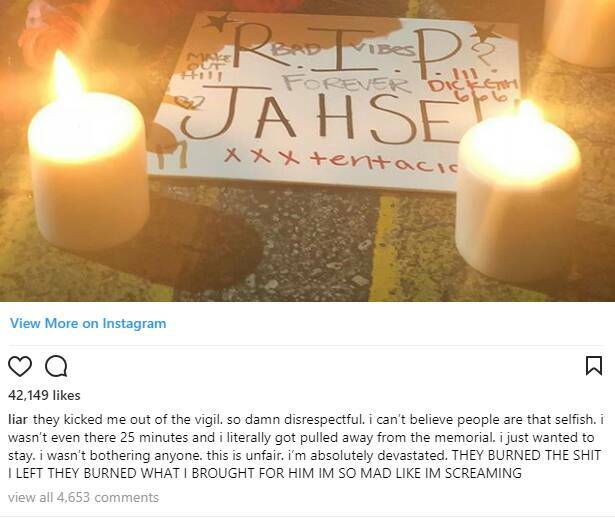 His friends didn’t want her taking any part in mourning him at the vigil that they set up. Geneva claimed in an Instagram post on June 19 things got nasty towards her less than 30 minutes after she arrived.